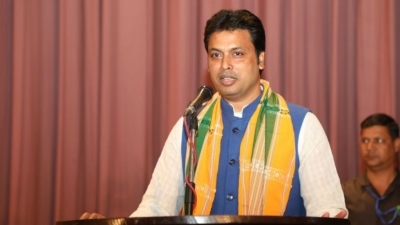 Tripura Chief Minister Biplab Kumar Deb on Sunday called upon the Bharatiya Janata Party (BJP) workers to maintain close and cordial relation with the people so that the government’s messages can reach the common people at the earliest. Terming the ‘pristha promukhs’ or party workers as the backbone, the State Chief Minister said that after performing the day to day duties the workers should spend some time to mingle with neighbours. The Chief Minister while asserting that the BJP-IPFT government has been working for the betterment of the people of the State, asserted that his government will be able to implement vision document within next three years. Notably, the State Government has introduced a new and transparent appointment policy to ensure that only deserving and qualified youths get government job, Deb said adding that there was no outcry over the fresh appointment during the past eight months, unlike previous occasions during the regime of the erstwhile Left Front rule.